"Last night I started downloading the iOS 10 update via iTunes. The update did not complete on my iPhone. Instead, the dreaded "Connect to iTunes" logo appeared. Worse still iTunes doesn't recognize my iPhone in recovery mode. I downloaded Tinyumbrella to try to exit the apparent recovery mode but didn't work. Is there any better solution to fix iPhone stuck in recovery mode"
To help those users, here we list 2 TinyUmbrella alternatives to fix iPhone stuck in recovery mode (iTunes Logo, Connect to iTunes Screen) instantly without data loss. Free iPhone Recovery Mode Software ReiBoot is a user-friendly iOS reboot tool that can easily fix iPhone stuck in Recovery Mode/iTunes logo/connect to iTunes screen) with one single click. No need to restore, no data loss. Connect your iPhone to PC. Run Reiboot after downloading and installing. The program will automatically recognize your device in Recovery Mode. Click "Exit Recovery Mode" and the device will boot up. After the rebooting process, your iPhone is already out of Recovery Mode. If your iPhone still failed to exit recovery mode, then you need a deeper fix to your iPhone system file. In this case, Tenorshare iCareFone, an comprehensive iOS care and repair tool to fix iOS problems like iPhone stuck on recovery mode, apple logo, reboot loop, black/blue screen of death, iOS crashes, severe iOS damage and all other operating system stuck issues, will be your best choice. Run Tenorshare iCareFone after installing and connect your iPhone to computer with the USB came with it. Select "Repair Operating System" and "Start to proceed". Once your iDevice is successfully detected, Download the firmware package to your computer. If you have downloaded the firmware, please choose "Import the Firmware Package Manually" to import it. After downloading the firmware package, Tenorshare iCareFone will continuously start repairing your iOS system. Please do not disconnect your device during the process, or your iPhone can become bricked. To sum up, we have introduce 2 alternatives to Tinyumbrella. 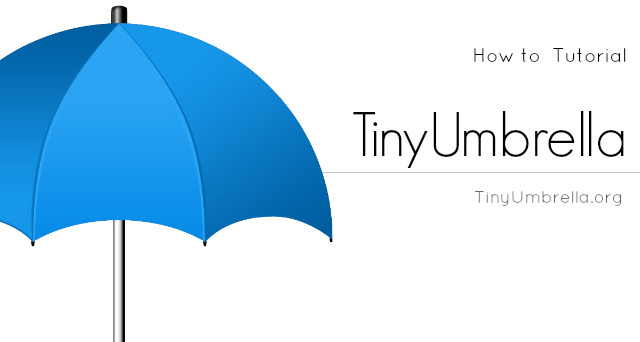 If you have any iOS stuck issues can't be fix with Tinumbrella, give this Tinyumbrella alternatives a try and get your device back to normal.